If you are planning to give some practical gifts like washcloths, diapers, and socks at the next baby shower you attend, why not make the presentation cute with these fun diaper babies. Even without the face I think they are a fun way to top your cute baby shower gift. 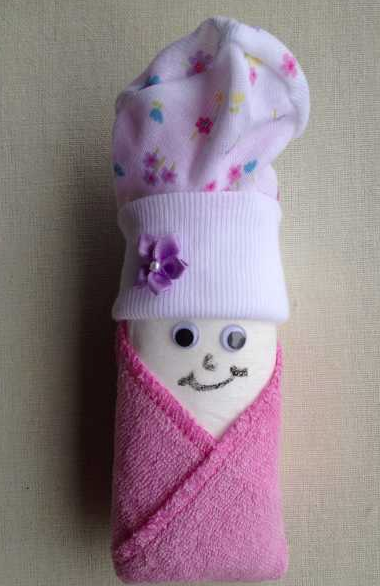 You can check out how to make diaper babies for your next baby shower gift over at Catch My Party.